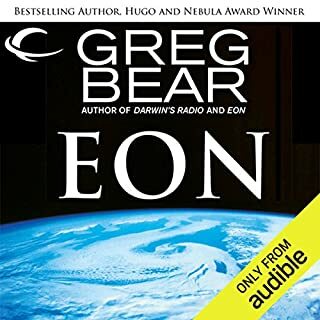 What did you love best about Eon? What does Stefan Rudnicki bring to the story that you wouldn’t experience if you just read the book? It is too long for that. But I listen to my books on my phone at work everyday. Interesting the way different factions, the different people changed over the centuries. Would you listen to Speaker for the Dead again? Why? What was one of the most memorable moments of Speaker for the Dead? Which character – as performed by David Birney and Stefan Rudnicki – was your favorite? Miro going over the fence. 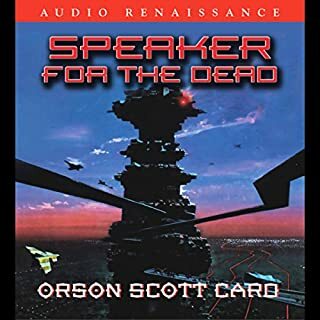 although Enders Game is his most popular book, "Speaker for the Dead" is by far his best work.. I have all the enders books, and all the Enders Shadow books except Shadows in Flight. I have also read the Empire books and the Columbus book. 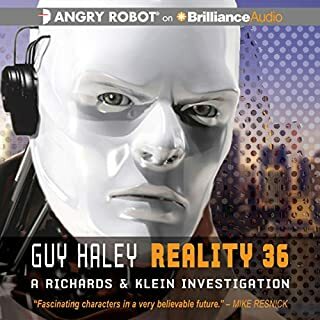 I am now reading his "Invasive Procedures"
Richards – a Level 5 AI with a PI fetish – and his partner, Klein, a decommissioned German military cyborg, are on the trail of a murderer, but the killer has hidden inside a fragmenting artificial reality. Richards and Klein must stop him before he becomes a god – for the good of all realities. Would you listen to Reality 36 again? Why? What other book might you compare Reality 36 to and why?